Wisdom of Life. 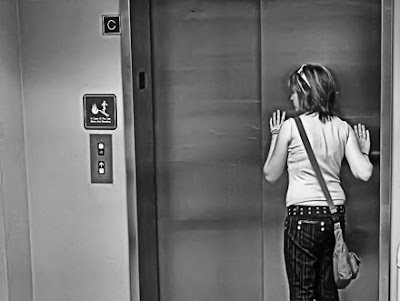 : What to do when you are trapped in a falling lift ? What to do when you are trapped in a falling lift ? We never know when and where accidents will happen to us OR people around us. Read on and hope this piece of information may help any of us when things do happen to yourself, our friends and our loved ones. One day, while in a lift, it suddenly broke down and it was falling from level 13 at a fast speed. Fortunately, I remembered watching a TV program that taught you must quickly press all the buttons for all the levels. Finally, the lift stopped at the 5th level. When you are facing life and death situations, whatever decisions or actions you make decides your survival. If you are caught in a lift breakdown, first thought in mind may be 'waiting to die'... But after reading below, things will definitely be different the next time you are caught in a lift. First - Quickly press all the different levels of buttons in the lift. When the emergency electricity supply is being activated, it will stop the lift from falling further. Second - Hold on tight to the handle (if there is any).. It is to support your position and prevent you from falling or getting hurt when you lost your balance. Third - Lean your back and head against the wall forming a straight line. Leaning against the wall is to use it as a support for your back/spine as protection. Fourth - Bend your knees. Ligament is a flexible, connective tissue. Thus, the impact of fractured bones will be minimised during fall.